Scott Martin is a lifelong Lancaster County resident with deep roots in the community. He was elected to his first term representing the 13th Senatorial District in November 2016. In the Senate, Scott has authored new laws to crack down on habitual DUI offenders, create a grant program and an anonymous threat reporting system to improve school safety, promote access to parking spaces for disabled Pennsylvanians, and generate private donations to fight pediatric cancer. Scott serves as Chair of the Senate Local Government Committee, which is responsible for reviewing legislation that affects the 2,500+ local government entities in Pennsylvania. He also serves as a member of the Appropriations, Environmental Resources and Energy, Health and Human Services, Judiciary and Urban Affairs and Housing committees. 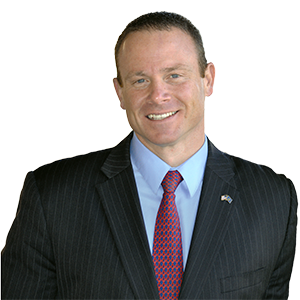 Prior to his election to the state Senate, Scott served as a Lancaster County Commissioner and helped to clean up what had become a dysfunctional and ineffective government. As Commissioner, Scott never voted for a tax increase, downsized government by cutting duplicative agencies and departments, reduced debt by $40 million, and reduced costs for taxpayers through privatization and public employee benefit reform. He led many statewide reform efforts through the County Commissioners Association of Pennsylvania and was elected Chair of the Republican Caucus of County Commissioners for 8 years. Before entering public service, Scott was successful in the private sector as a licensed Realtor and local landlord. In addition, for 13 years, he served as Director of the Lancaster County Youth Intervention Center. Running the county’s juvenile detention and emergency shelter-care facilities, he oversaw the effective operation of a $5.5 million budget and 150 employee organization. Scott was also the elected Vice President of the Juvenile Detention Centers Association of Pennsylvania and served on the Pennsylvania Commission on Crime & Delinquency’s Detention Steering Committee. Scott served on the Board of Directors of the Dr. Gene A. Carpenter Football Foundation, volunteers as a youth sports coach in wrestling and baseball, and gave his time and effort to groups like the United Way of Lancaster County and the Pennsylvania Dutch Convention & Visitors Bureau. Scott is a graduate of Lancaster Catholic High School where he was a PIAA & National Heavyweight wrestling champion and Millersville University, where he graduated with a degree in Sociology/Criminal Justice and became a three-time 1st Team PSAC Defensive Tackle and two-time All-American. After his college career, Scott was a free agent camp invitee of the New York Giants in the NFL and had three different stints in the Arena Football League. Scott and his wife Amber are the proud parents of four children, Alexia, Hayden, Alivia and Gavin.